After nearly 10 years the Lord Kaiaphas returns to Black Metal with his new project, Thokkian Vortex. 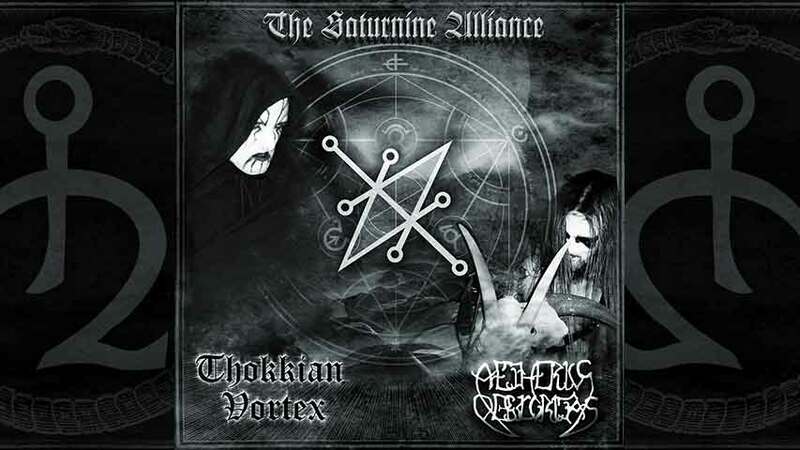 The tracks, The Funereal Winds Beckon my Return and Huginn and Muninn in the Realms of Mist have been released by Sleazy Rider records(Greece) on the split CD The Saturnine Alliance together with Hungarian Black Metal band Aetherius Obscuritas. The Lord Kaiaphas also did some guest vocals on the track, “The Chivalry of Temple” from Aetherius Obscuritas.